This match could turn out to be a fascinating watch as Pliskova hasn’t been playing her best tennis and isn’t the best player on grass, while Bertens is having one of her best tournament outside of clay and is finally showing belief in her game on other surfaces. Pliskova is surprisingly the only top 10 seed in the draw because she had one of the toughest paths out of those seeds to the second week. Pliskova edged past Harriet Dart, Victoria Azarenka and Mihaela Buzarnescu (recovering from 3-6 1-4 down) to score her best ever performance at SW19. I had Bertens out in the second round but I am pleasantly surprised to see her make it to the second week. I’ve always been surprised Bertens has never been able to produce good results on the faster surfaces, but it is great to see her believing and having confidence in her game on grass. Thoughts: Unless Pliskova throws in a disastrous performance, I think she will get the win rather comfortably. Pliskova has the bigger weapons on grass and will be able to find more free points with the serve. Bertens will come in as the underdog and play with little pressure, but I think she will come up short this time. Goerges is into the second week of Wimbledon for the first time in her career as she scored great wins over Monica Puig, Vera Lapko and an epic victory against Barbora Strycova. Goerges is another player who struggles on the grass but has shown great mentality to reach this stage. I don’t see why Goerges cannot progress further in the draw as her weapons, most notably her serve, decent net play and forehand, is a great fit for grass. This is Vekic’s first fourth round appearance at a Slam and it is no surprise that it has come at the lawns of Wimbledon. Vekic has done really well to back up the win against Sloane Stephens with solid enough wins over Rebecca Peterson and Yanina Wickmayer. 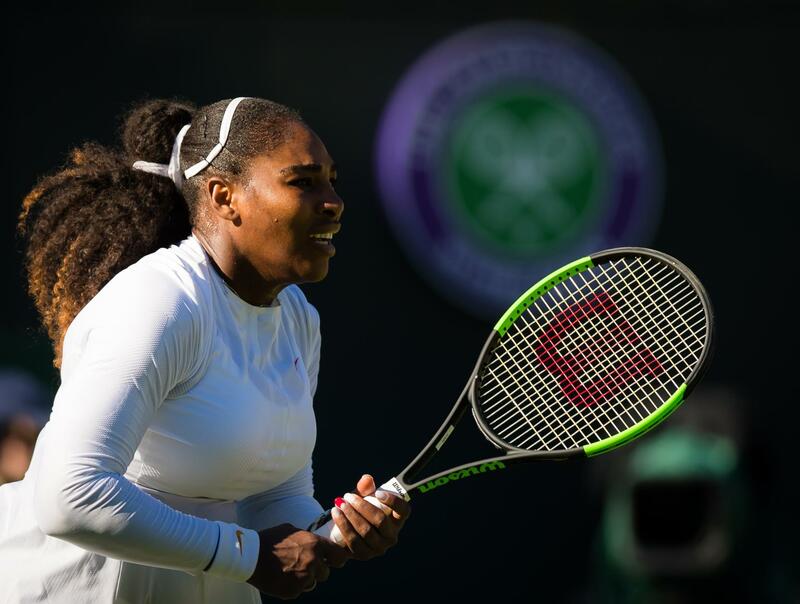 Serena is slowly starting to find back her form with wins over Arantxa Rus, Viktoria Tomova and Kristina Mladenovic. This has been a very kind draw for Serena and I’m not sure her next opponent will cause too many problems for her. Rodina is having a dream week with six wins in Wimbledon, having come through qualifying and beating Antonia Lottner, Sorana Cirstea and Madison Keys in 3 three-setters. She is bound to feel some fatigue and nerves, with this being her first ever Grand Slam second week appearance. Perhaps the most surprising, but also least surprising unseeded player in the fourth round is Giorgi. The hard-hitting Italian can be a force to reckon with on grass, but is definitely one of the most inconsistent players on the tour. The Giorgi this week though has been more of the former description, as she powered past Anastasija Sevastova, Madison Brengle and Katerina Siniakova (saving match point in the process). Makarova is a good player on grass, but should fall under the ‘surprising’ category as one of the unseeded players to reach the fourth round. Prior to Wimbledon, Makarova had not won back-to-back matches the whole season and had suffered disappointing defeats to Alizé Cornet and Dominika Cibulkova on grass. One week later and the Russian has beaten two quality players in Caroline Wozniacki and Lucie Safarova to record her best result of the year. Thoughts: This match will probably depend on Giorgi’s performance and I’m feeling positive for her as Makarova’s foot speed around the court isn’t the fastest, and she also doesn’t possess much variety to disturb the Italian’s rhythm. I think Giorgi will come through in a really messy match.